Warriors Romp In Boone With Outstanding Run Game, Head To State Semi Finals This Friday in Winston Salem, NC. Image taken by Ashleigh Mock. 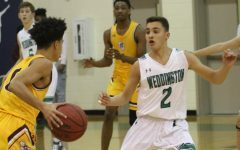 The Weddington Warriors certainly left nothing on the table this past week when it came to what was supposed to be one of their most challenging matchups of the season. The team diligently practiced and prepared all week, even moving their typically easier Thursday afternoon walk-through practice to Friday, where they held their walk-through in a church directly following team dinner. 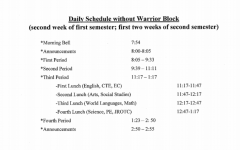 This change of schedule was enforced so that the Warriors could participate in an extra full pads practice- evidence that Weddington did everything in their power to prepare to take on the #1 seeded Watauga High School Pioneers. 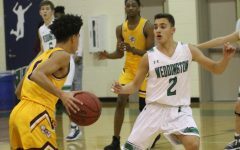 This intense preparation process proved effective, as Weddington marched into Boone, NC, and quickly and efficiently took control over their #1 seeded opponent. After a 6 yard touchdown run on the first drive of the game by the Watauga Pioneers running back, Bryce Satterfield (son of Appalachian State Football Head Coach, Scott Satterfield), the Warriors responded quickly with a 10 yard touchdown run by sophomore running back, Will Shipley, on Weddington’s first offensive drive of the game. The rest of the game flew by quickly, as Weddington scored 5 more times, with a total of 6 touchdowns, making the final score 42-14, with the Warriors on top. 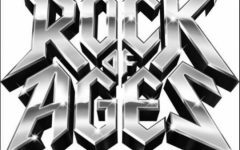 Sophomore star Will Shipley accounted for 3 touchdowns, and 166 yards on 18 carries, but senior sensation, running back Wayne Dixie also had an impressive performance with a touchdown and 131 yards on 20 carries. On the receiving end, senior Max Brimigion caught 2 touchdown passes thrown by senior quarterback, Whitner Litton. These 2 touchdown passes marked the only 2 times Litton threw the ball that night, proving that the run game for Weddington was on fire between Shipley [Will] and Dixie and that there was no need to throw. The 2 passes by Litton gave both Litton and Brimigion each a 100% pass completion and reception percentage respectively. 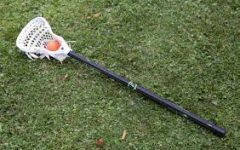 “We knew that Watauga was obviously very good heading into this matchup, as they were undefeated, but it just came down to who executed better, and that was us. Wayne and Will both had an awesome game, and we all practiced very hard heading into the matchup. I think it showed,” commented junior long snapper, Will Cobb, when asked about post game thoughts after the big win. 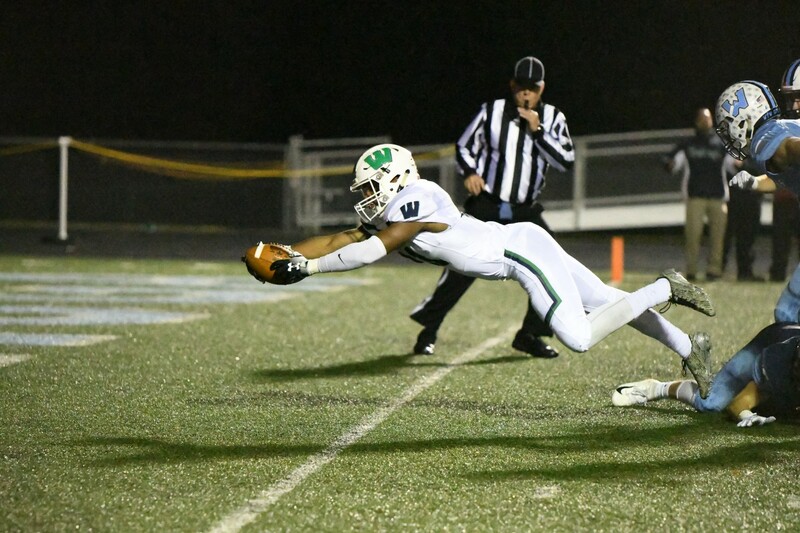 With a total of 388 yards on the evening, Weddington dominated the field in Boone, giving them an opportunity to play this coming Friday in the State Semi Finals matchup vs Mount Tabor High School in Winston Salem. The Mount Tabor Spartans head into the Semi Finals game coming off of a last second quarter final victory over A.C. Reynolds High School in Asheville, NC last week. The Spartans have an overall record of 10-4 on the season, and are ranked 19th in North Carolina. 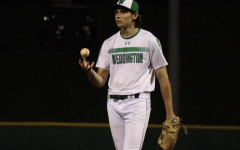 Weddington enters the game with an overall 13-1 record on the season, and are ranked 6th in North Carolina. 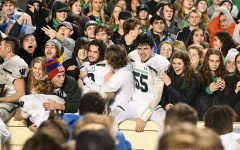 The game is without a doubt a highly anticipated matchup, and the Weddington Football Team wants everyone there to cheer them on in their effort to advance to the 2018 NCHSAA 3AA State Championship game on Saturday, December 15th at 11:00am at UNC Chapel-Hill. Be sure to make your plans to head to Winston Salem this coming Friday for the 7:30pm game against Mount Tabor. 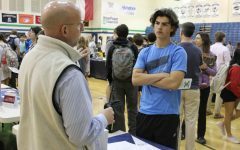 This marks the 3rd time in the last decade the Weddington Warriors Football Team will vie to make an appearance in the NCHSAA State Championship. As a student, cheerleader, journalist, and fan, I can tell you- this is a game you do not want to miss.